As anybody who has looked at paintings of Queen Victoria will know, the former monarch was …well, no oil painting. 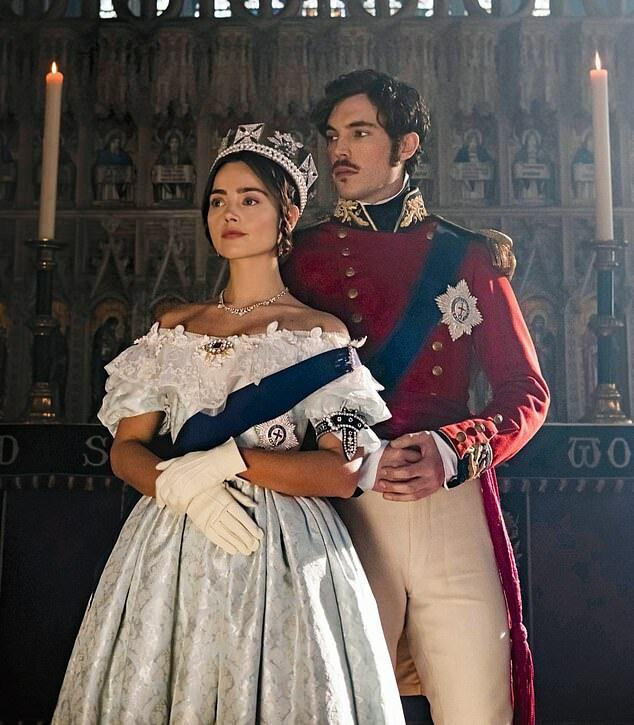 Naturally eyebrows were raised when it was announced that the exquisitely pretty Jenna Coleman would play the leading role in ITV’s royal drama. Now, with the third series under way, nobody gives a second thought to the casting as Miss Coleman has made the part her own, and all without the aid (so far) of any silly prosthetic noses. That’s not to say that credulity isn’t stretched in other areas. In last night’s opener, the action kicked off in 1848 and it was just as well that Buckingham Palace had plenty of spare bedrooms because the (not altogether welcome) guests were arriving thick and fast. French king Louis Philippe had been ousted and was looking for a place to stay. ‘My father lost his head to Madame Guillotine,’ he explained, not wishing to meet the same fate. Hot on his heels was Victoria’s scheming and jealous half-sister Princess Feodora seeking sanctuary – and also the opportunity to fleece the queen for some new frocks and shoes. The reason for their arrivals was that revolution was breaking out across Europe and the aristocracy were not safe from the commoners. ‘Thank God for the English Channel,’ said Her Majesty, at that point unaware that the poor people of England were feeling a little rebellious too. Chartism (a working-class movement seeking electoral reform) was gathering pace and Prime Minister Lord Russell feared they may draw inspiration from France and try to overthrow the monarchy. As good fortune would have it, Abigail Turner, the working-class woman who darned the Queen’s underwear, was a leading player in the Chartism movement and was invited to the Palace for a meeting with the Queen. In true forelock-tugging style she assured Victoria that the hoi polloi meant her no harm. With her grubby dress and gor blimey accent there were times when it looked like a scene from Oliver. I half expected Miss Turner to start singing Oom-Pah-Pah as she backed out of the palace and slunk back to her hovel. Also stirring things up was ambitious Foreign Secretary Lord Palmerston, a flirtatious rake from whom ‘no woman is safe’. He was played with charismatic aplomb by Laurence Fox, who admitted his character was a cross between Boris Johnson and Willy Wonka. As far as Victoria was concerned, he certainly wasn’t the Golden Ticket. ‘Awful awful man,’ she said of Palmerston as he stoked the fires of revolution at home and abroad for his own political gain. As it turned out, Abigail Turner was wrong, and the Chartists descended on Buckingham Palace breaking windows and demanding their rights. ‘The barbarians are at the gate,’ said the hilariously cynical pantomime baddie Penge, the Queen’s royal steward. The heavily pregnant Queen was ordered to retreat to the safety of Osborne House on the Isle of Wight, but it was too late. Her waters broke and she was forced to go through labour as the riff-raff smashed glass around her. The episode ended on a cliffhanger with viewers left wondering if Victoria would survive the peasants’ revolt. As she went on to rule for a further 53 years and pop out another three children, I think we can all sleep easily in our beds until next week’s instalment. Writer Daisy Goodwin’s Victoria has had its share of snooty criticism. And it’s true that sticklers for historical accuracy are, for the sake of their blood pressure, best advised to swerve it. 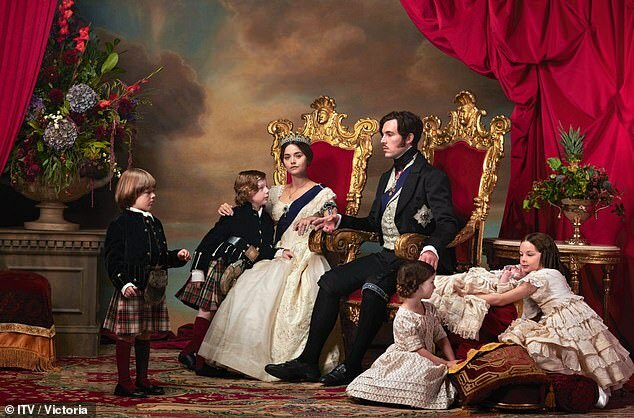 But for those who like their costume dramas to be glamorous, exciting and sumptuous – and with the promise of passion between hunky new footman Joseph (David Burnett) and Sophie, Duchess of Monmouth (Lily Travers) – then there’s no better escapism on a Sunday night.